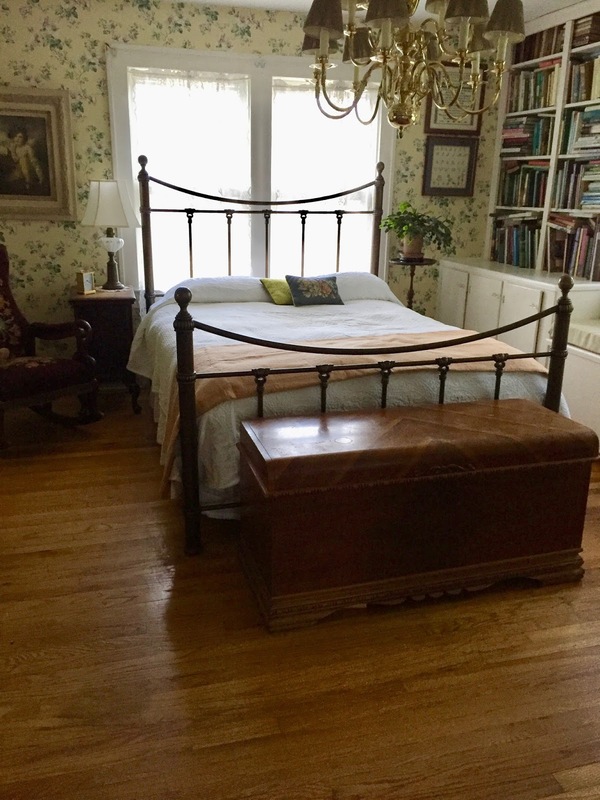 And in the guest room . . . The wood floors are bare . . . I think a room needs a rug . . .
And I've been searching . . .
For it can't be "just a rug"
It needs to be a "perfect rug"! 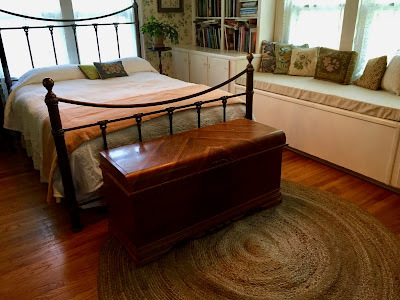 I love braided rugs and perfect with the room...I have my cedar chest at the end of the bed also. I think I admire your home more than any other. I love your taste in decor. The rug does add the perfect finishing touch.